The Cthulhu Mythos was H.P. Lovecraft's greatest contribution to supernatural literature. 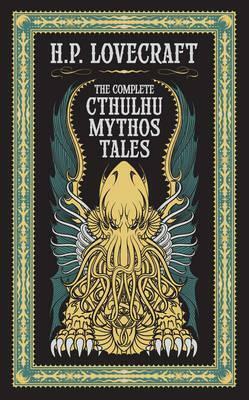 This anthology includes 23 of his weirdest tales, including 'The Call of Cthulhu', 'The Colour Out of Space', 'The Dunwich Horror' and 'The Shadow Out of Time'. It also features six collaborative 'revisions' that expand the scope of Lovecraft's dark mythology, an introduction by Lovecraft scholar, S.T. Joshi, and a 16 x 20 inch frameable poster by award- winning cover artist, John Coulthart. H. P. Lovecraft was an American author of horror, fantasy and science fiction, specifically the genre known as 'weird fiction'. Although his readership was limited during his lifetime, his reputation has grown over the decades and he is now viewed as one of the most influential writers of the 20th century.